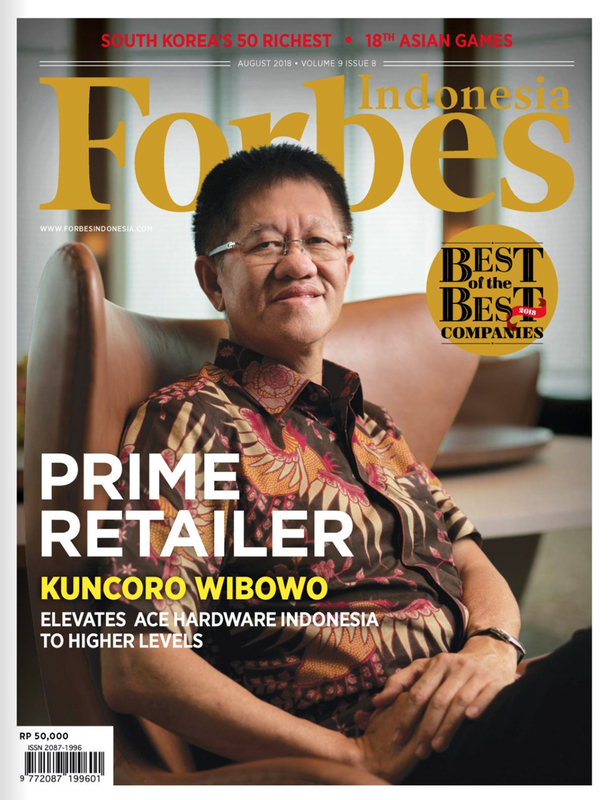 Portrait of Kuncoro Wibowo, president commissioner of Ace Hardware Indonesia and founder of Kawan Lama Group for Forbes Indonesia August Issue’s cover story. 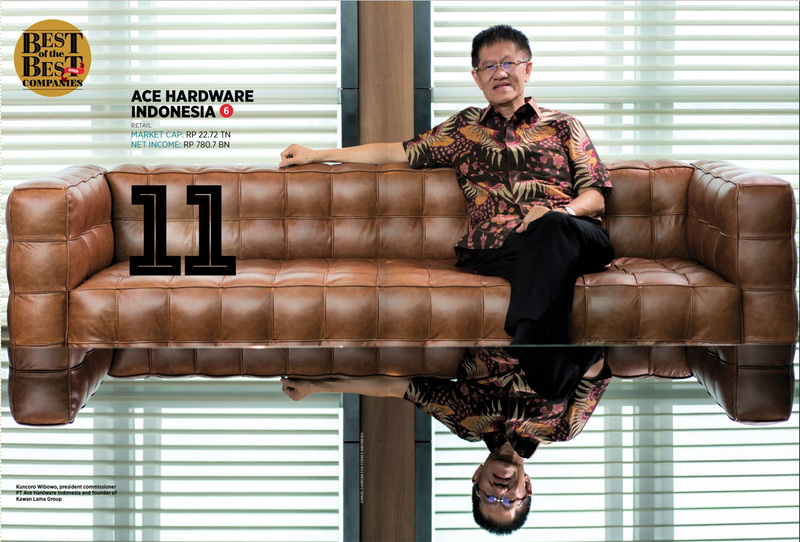 Ace Hardware financial and stock performance shown a strong growth over the past years. The group itself keep expanding and innovating its business, opening digital outlet Ruparupa.com and started property business Living World and Living Plaza.